Get in quick team – we’ve got a set number of tickets available and a short time for you to get them at the early-bird price of $90 – available for 1 week only. 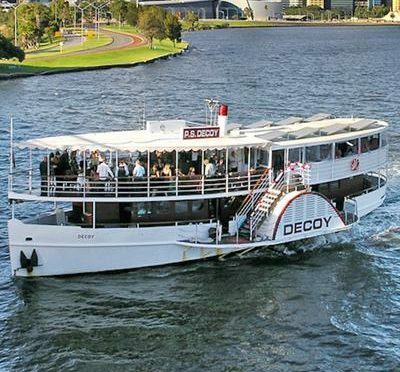 Come along to celebrate the South Perth Rouleurs 10th Anniversary on the evening of 6 April 2019 with a river cruise on the PS Decoy. This will be a river loop with a difference! The event will be a black-tie evening not to be missed. Frocking up and enjoy a catered cruise with live music, a seasoned proportional of Club nostalgia and stories not to mention some superb company. Get you tickets in our shop here.